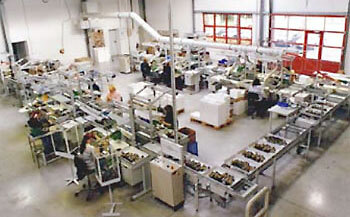 For several decades we have been producing tools for the MICROMOT system in Wecker/Luxemburg. High quality power tools for model builders, precision mechanics, mould makers, tool makers, opticians, goldsmiths, watch-makers and more, giving users high-performance power-tools in a size never offered before. Any machine one could wish for their delicate projects. Quiet, precise and vibration-free for fatigue free use. PROXXON very quickly became a synonym for high quality tools through engineering and producing a full line of power tools for intricate projects by putting stress on low weight and slim design, without ever compromising performance. With more than 50 handheld and table top tools, PROXXON is known as number 1 world-wide for precision power tools. Today the PROXXON line features useful units from rotary tools, detail, belt and anglesanders, engravers, bench drill machines, circular or scroll saws to a complete lathe and milling system. Our commitment to highest quality and service has made it possible to create a product line that finds loyal customers all over the world. PROXXON was founded in Germany on May 4th, 1977 in Niersbach, a small town in the southwest , just 20 miles from Trier, Germany's oldest city. As the company's long-term location became too small, PROXXON moved to a new sales headquarters with more spacious logistics in the "Industriepark Region Trier" in September 2011. The Headquarters in Wecker/Luxemburg. Here we develop and produce PROXXON MICROMOT fine power tools. Our sales headquarters in the "Industriepark Region Trier" in Föhren, Germany. From here we provide service to our distribution partners in more than 80 countries worldwide. Hickory, NC is the location of the headquarters for the North American market. PROXXON Inc. is the US-distribution company serving the United States, Canada and Mexico. All rights reserved. Texts, images, graphics, sounds, animations and videos as well as the arrangement of the same on PROXXON web sites are protected by copyright and other commercial protective rights. The content of these web sites may not be copied, disseminated, altered or made accessible to third parties for commercial purposes.